The allegations of sexual assault involving a Toronto private school are “disheartening” but unsurprising to one former student who says he endured a “sexualized initiation” ritual more than 30 years ago. Jean-Paul Bedard spent Grades 9 and 10 at St. Michael’s College School in the 1980s. As a practicing Catholic and budding athlete, Bedard said going to the prestigious school and, more importantly, making the football team was a dream he’s always had. “There’s a lot of prestige, a lot of swagger among the other students when you belong to a sports team,” Bedard told CTV News Toronto from his home on Friday. Bedard said his dreams of high school sports glory hit a roadblock when he fell victim to “hazing,” typically a humiliating initiation that new students are subject to by their peers. “It’s usually four or five bully-type athletes who are picking on one or two new kids. That’s exactly what happened to me,” he said. Bedard, who says he has suffered other acts of sexual violence in his youth as well, noted that as a young man, he dismissed the incident at St. Michael’s College School. He said he treated it as “nothing more than boy’s athletic macho behaviour” and buried the trauma. That trauma came to the surface this week, he said, while reading about the allegations of a serious sexual assault of a St. Michael’s student. The all-boys private school made headlines this week when police confirmed that they were investigating allegations of a serious assault involving students. The alleged sexual assault was reportedly captured on video and shared. The school acknowledged in a statement to parents on Friday that it learned of the video on Monday, and conducted an internal investigation, before informing police on Wednesday. Police previously said they were first notified of this video by media. The school did not specify what occurred in that video, saying only that its content “severely violates” the school’s code of conduct. A video of the alleged incident, sent to CTV News Toronto, appears to shows a student being assaulted with an object inside a locker room. Two other incidents, one involving students in a washroom and another unspecified incident, were also brought to the school’s attention and referred to police. A total of eight students have been expelled and one suspended in connection with two of the incidents. “I can tell you that this is not something that is unique to St. Mike’s,” Bedard said. Over the years, Bedard has combined his athleticism with his sensitive past to raise awareness about sexual violence and hopefully inspire survivors. Though he has yet to hear back, he expressed concerns about the handling of the situation thus far. “I would assume that they would be aware (of this type of behaviour). I think they would be incredibly naïve if they didn’t think this was happening,” he said. However, his greatest concern now lies with the young victim. “For me the story is not really about St. Mikes and the culture of St. Mikes or the administration and how they’re responding to it – it’s really about that kid. That kid who experienced this,” Bedard said. Child therapist Sevda Basar agrees, and says the psychological consequences extend well past the victim. According to Basar, the perpetrators and those who viewed the video may also need support. “Being part of the boys, that frat house-sort of mentality really clouds their judgment in that moment,” she said. “I think the victim is going to have some long term consequences of all of this… Really feel a sense of shame,” she told CTV News. She believes fewer kids are talking about their experiences at school with adults and said parents should be mindful of changes in their child. Bedard echoed that notion, pointing to the ‘MeToo’ movement as an example of where speaking up sparks change. “As a man, there’s this added stigma. I know that this young man is dealing with that stigma. Other men need to reach in and step up,” he said. 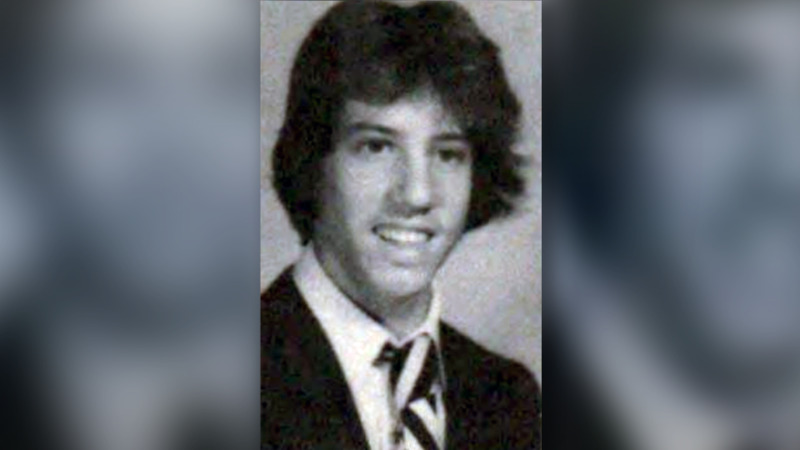 Jean-Paul Bedard is seen in this yearbook photograph as a student at St. Michael's College School. 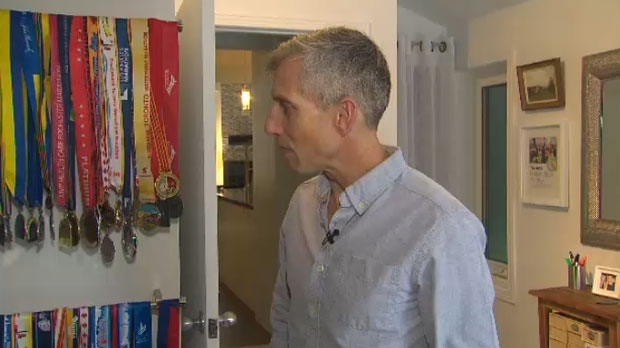 Jean-Paul Bedard looks at his athletic medals.